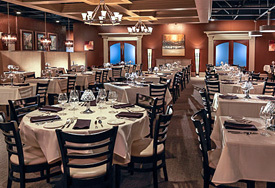 Tony’s steak restaurant in Cincinnati serves aged, all natural American beef that we cut and trim in-house. 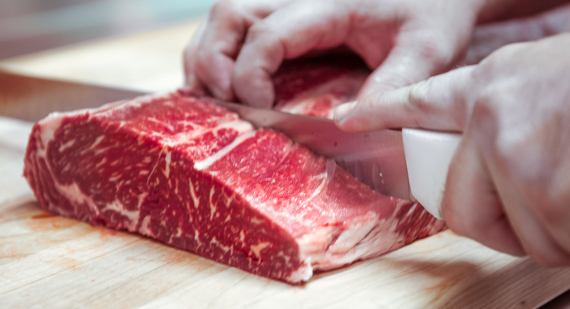 Our prime steaks are seasoned with a paprika based dust composed of a distinct blend of sea salts and peppers. Tony’s seasoning creates a depth of flavor, giving it a deep char while sealing in the juices; finishing it off with a brush of clarified butter. 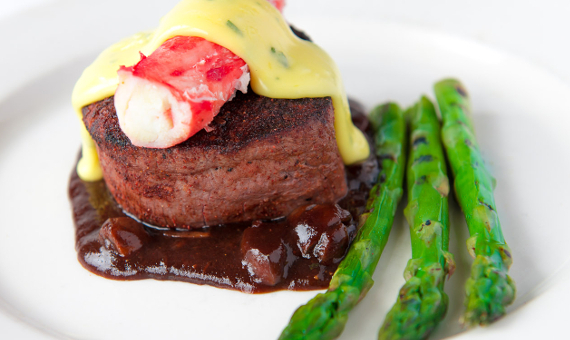 Center-cut Filet Mignon is served on our savory mushroom demi glace, topped with our fresh Alaskan King Crab, our house bernaise and asparagus. The steak. Oh, that steak. I’ll probably dream about it for awhile. I have eaten at great steakhouses all over the world, including Peter Luger’s, Wolfang in NYC and [TONY’S OF CINCY] WAS SO MUCH BETTER! A steak that dances on your tongue.